When it comes to your Northeast Ohio irrigation system, making sure that your landscape gets enough water is no doubt your number one priority. You want your grass to be as green as possible and you want your plants to flourish, after all. However, as important as your sprinkler system’s effectiveness is, you shouldn’t overlook its efficiency. You don’t want to use too much water, because not only are you not doing the environment any favors by wasting water, you’re not doing your wallet any favors either. Fortunately, there are ways that you can lower your water consumption. 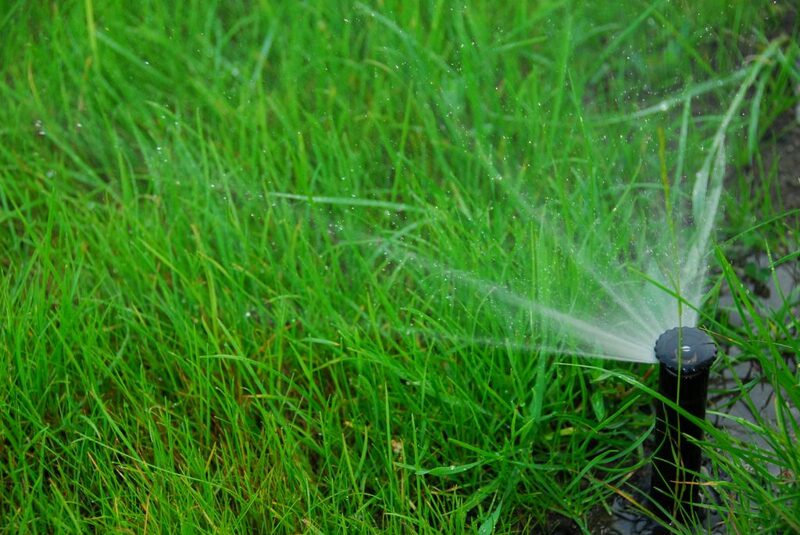 The damage that occurs to your sprinkler system can result in poor water efficiency. For example, leaks that occur in your sprinkler heads or in the pipes that deliver water to your sprinklers will result in the loss of a significant amount of water. By having your irrigation system checked, you can repair these issues before they affect your water conservation efforts. We recommend having your irrigation system inspected before and after winter when the elements are most likely to affect the condition of your sprinklers. Set your irrigation system to water your landscape in the mornings. This allows the water to soak deeper into the soil. The closer it is to the afternoon, the more you’ll need to water your landscape. This is because the hotter it is outside, the more of the water that’s sprayed will be evaporated by the sun. The most effective way to set up your irrigation system is to divide your property into zones. You should separate landscape features that have different watering needs into different zones. For example, shrubs don’t need as much water as grass does, which means that if you can section off an area that contains both grass and shrubs into two different zones, it will allow you to water the zone in which your shrubs are located less. We can evaluate your property to determine the different watering needs of your landscape and make adjustments to your zoning in order to reduce your water usage. Basic controllers allow you to schedule the times at which each zone is watered. While this will certainly help save you water when compared to watering your landscape by hand or not using a zone system, there is still some room for improvement. For example, you could upgrade to a smart controller from Rain Bird. These smart controllers take into account current weather conditions in order to adjust watering requirements. This means that if it’s raining, you won’t be needlessly watering your property. Besides switching to a smart controller, we also recommend upgrading your old heads and nozzles to more water conserving models. Older heads and nozzles have a tendency to leak more often as a result of a general wear and tear. Water saving heads and nozzles also have lower psi inlet pressure, which helps to reduce the amount of water that needs to be used. These are a few ways that you can reduce the water usage of your irrigation system. If you want to improve your water conservation, then be sure to contact us at Sprinkler Pro in Northeast Ohio to schedule an appointment today.